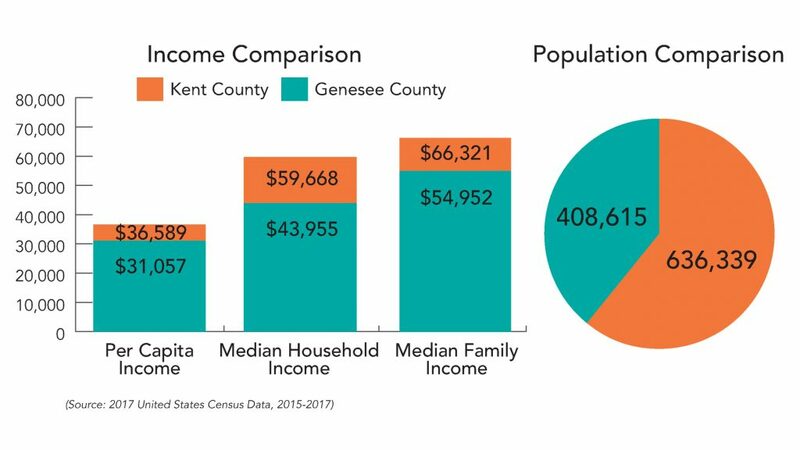 From the standpoint of economic development and business climate, Grand Rapids/Kent County is often considered the darling of Michigan. And if you’ve visited there in recent years, it’s easy to see why. 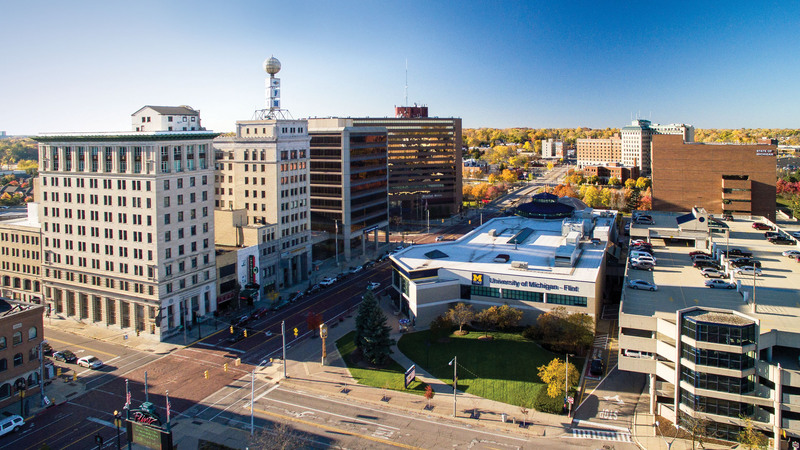 The center of commerce for West Michigan, Grand Rapids/Kent County is a bustling region with an impressive skyline and a vibrant arts-and-culture scene. The keys to closing this gap are here now. Moreover, the proposed tax reform bill, once enacted, has the potential to rather quickly and dramatically impact jobs, income, growth and investment. This is because it offers significant incentives to large and small business alike. The plan would lower tax rates for small business to 25 percent, allowing business owners to take advantage of a tax rate of only 9 percent on their first $75,000 of income with a cap of 25 percent on the balance. Big business would see corporate tax rates drop dramatically from 35 to 21 percent. All of this is a powerful incentive for the entire business community to expand, develop, invest and hire. This means jobs, opportunities and income across the board. Communities that win will be those with the available educated and trained workforce ready to take advantage of the expanding need. Those without such a ready workforce will likely be left behind. Understanding how economic barometers impact the economy can help business leaders, investors and other decision-makers make higher quality choices. Here in Flint & Genesee, we’re prone to looking in our rearview mirror. We’ve heard it all before: in 1978, there were nearly 80,000 General Motors employees working here. Today there are fewer, around 7,500. In 1964, Flint had an estimated population of more than 200,000, more than twice the city’s population in 2017. But instead of looking at how we did in the past, let’s focus on how we can do in the future and what needs to happen to make those dreams and goals a reality. One of the biggest risks to a more prosperous future is the lack of enough skilled workers to fill all of the positions that an expanding job market will offer. Stagnant income is, in many ways, tied to stagnant skills. Nowhere is that last risk more obvious than right here in Flint & Genesee where we haven’t added a single percentage point of college-educated workers to the workforce since 1980, according to an analysis by Enrico Moretti, economics professor at the University of California, Berkeley. That’s a startling and sobering statistic. But it’s also one of the biggest opportunities we’ll ever see. Why? We already have a world-class higher education infrastructure here, with the University of Michigan-Flint, Kettering University, Baker College of Flint and Mott Community College, as well as satellite campuses for several other Michigan colleges. We have a solid foundation in place. 1.Attract the most innovative companies, prospective new workers, students, apprentices and cutting-edge ideas. 2.Engage our various publics to explain how the confluence of low costs, significant resources and a deep talent pool properly deployed could offer a historic opportunity. 3.Retain our top talent, thinkers and intellectual property right here. That means workers, companies, students, teachers and ideas, like patents. The brain drain must stop. Working together, we can embrace the future to nudge the trajectory to our advantage by expanding the intellectual infrastructure needed to properly leverage our considerable attributes. The timing might never be better to make Flint and Genesee County America’s engine of prosperity once again. Success is the intersection of preparation and opportunity, and if we remember this we just might see the dawn of a truly new day.